Do you remember a time when compact cars used to be simple? A time when luxury features meant having a leather tiller, an automatic climate control system, and rear parking sensors? A time when they used to cost a smidgen above the one-million-peso mark? 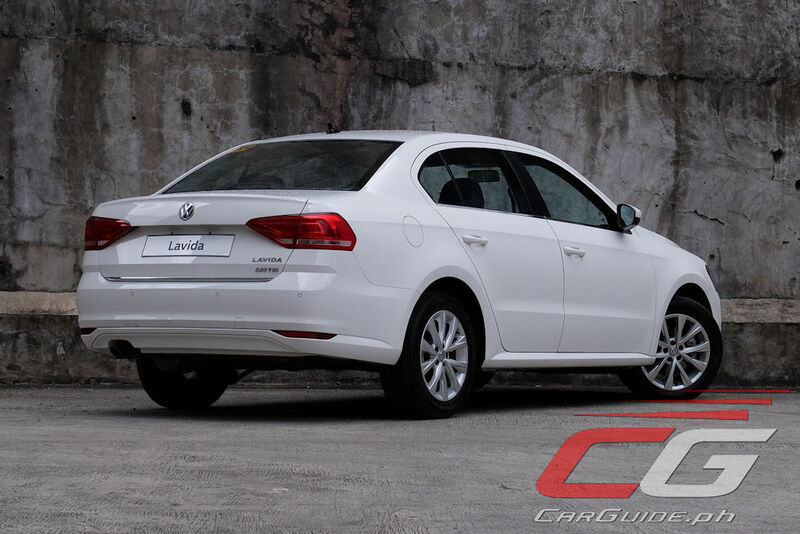 Well, get ready for a bit of nostalgia this 2018 with the Lavida—Volkswagen’s new, but old-school feeling compact sedan. As a product, the Lavida is a rather curious one. It’s been on sale in the Chinese market since 2012, which oddly enough, got replaced by an all-new model just this year. It gets even curiouser once you find out that the Lavida traces its roots to the Volkswagen PQ34 platform—the one that underpins the fourth-generation Golf/Bora/Jetta. 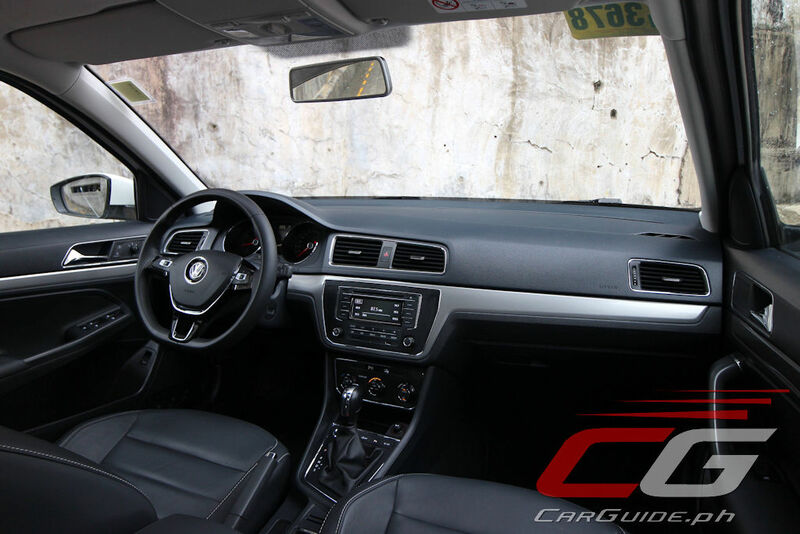 And since Volkswagen Philippines offered the fifth-generation, PQ35-based Jetta in 2014, they’re basically replacing it four years on with a vehicle underpinned with technology that’s twice as old. With that, when measured purely from a car enthusiast’s standpoint, the Lavida is a downer—it’s old-tech stuff passed off as new machinery. However, putting on a regular car buyer’s hat, it does become a sensible car—doing a lot of things well, but none of them exemplary. 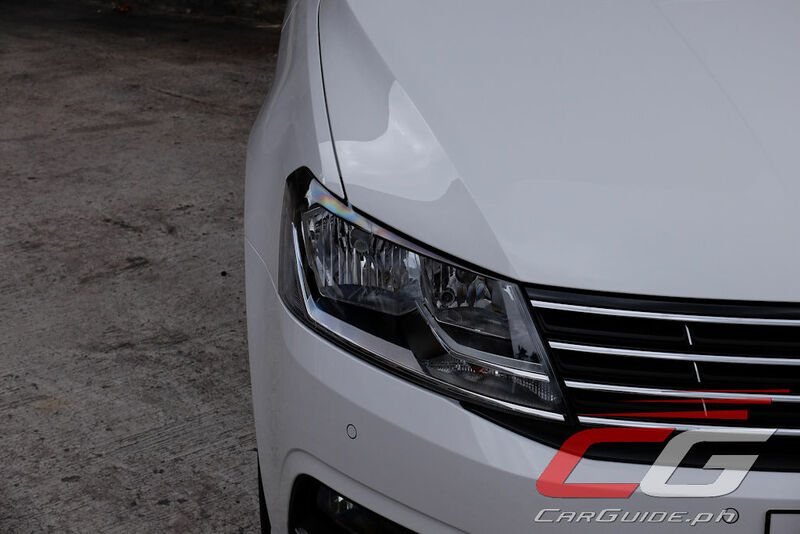 For starters, it looks like a modified Jetta—the same basic angular lines and squared-off face; only it’s not. 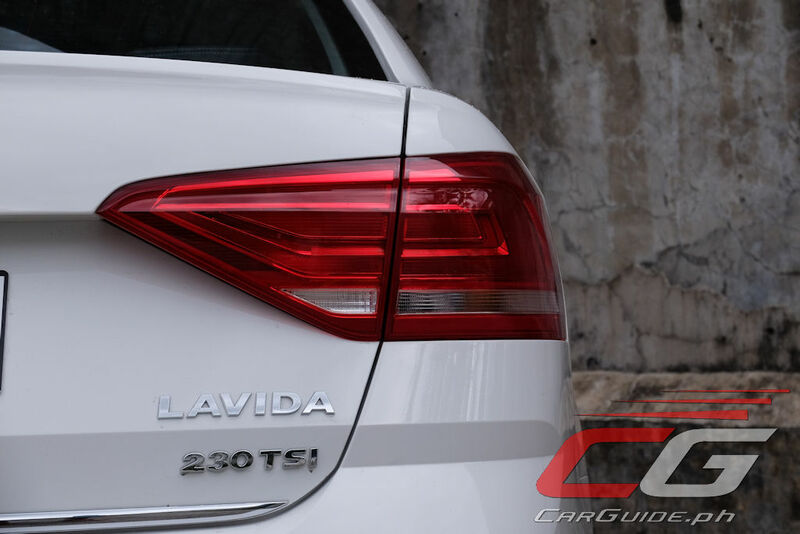 Many have started to get confused with Volkswagen’s Matryoshka doll styling, but side-by-side, the Lavida is the handsomer, more refined older brother. The front-end is particularly strong, especially with how the headlights and grille merge and meet. There are far more creases sprinkled around compared to the model it replaces and for that, it gets more gravitas. Compared to other compact cars though, it doesn’t look fun. It’s far too somber and grown up and for that, it’ll be the wallflower at any beauty contest. The same thing can be said about the Lavida’s interior—straight-forward and largely frills-free. 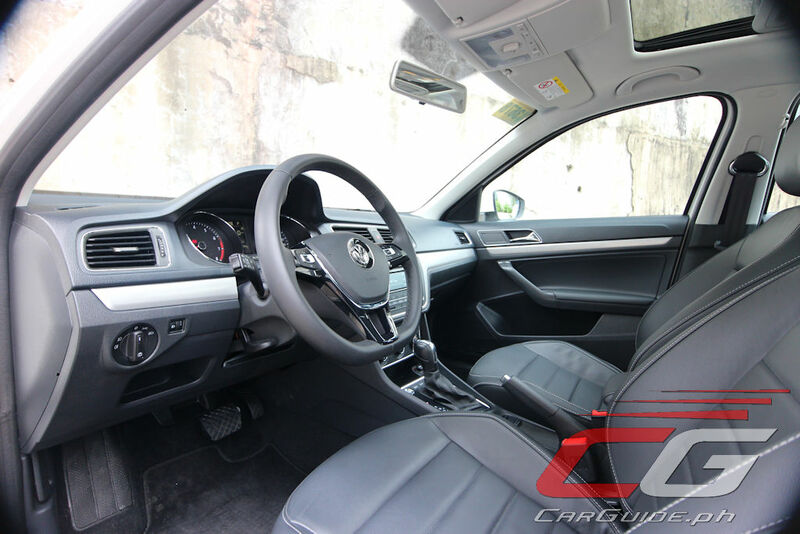 The leather-wrapped steering wheel and seats give it a semblance of luxury (and mind you, they’re pretty darn good), but the rest of the package comes across as simple and basic. The plastics, though well-textured, are hard-to-the-touch. The controls, though nicely-laid out and easy-to-understand, don’t exude the same high-tech feel so prevalent in compact cars nowadays. 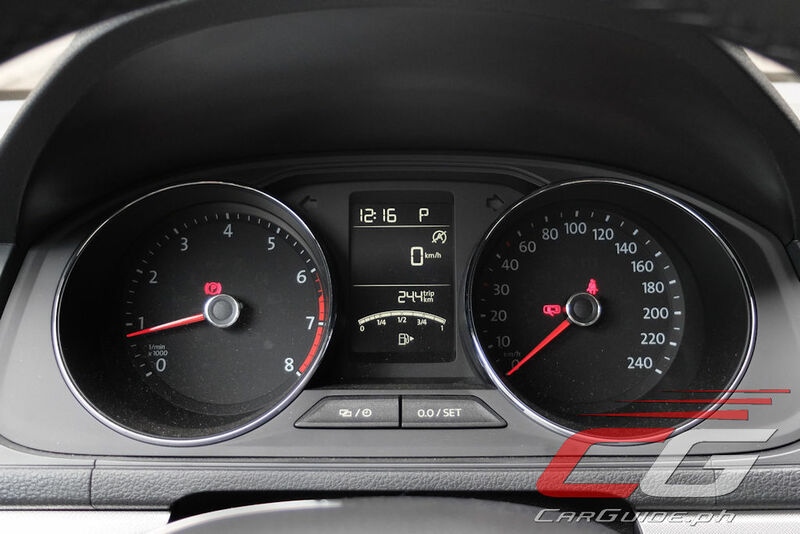 Even the instrument cluster, though it has a multi-function display, looks so pixel starved. The Lavida’s retro attitude continues with its rather short equipment list: the steering wheel only adjusts for height, the seats don’t have any motors for seat position fine-tuning, but the most glaring omission of all: adjustable dimming for the gauges. The first two are largely forgivable because the resulting driving position is bearable, except perhaps for the throttle pedal which is horribly short. The last one though is quite a bane—the gauges are simply blinding at night; and it’s also an odd deletion given that the infotainment screen can be dimmed with four levels of brightness. Despite its aging underpinnings, the Lavida is actually charming enough, especially as a commuter. In the entire compact car spectrum, it can easily outclass the Koreans and even stand toe-to-toe with the Japanese. It sits right in the middle of the sporty-cushy spectrum. The steering is light, but vague. It’s responsive when pushed, but because there’s some slack near the center, it doesn’t feel as agile. Meanwhile, the ride is actually finely-tuned: supple without any float. The interior is amazingly quiet too. Honestly, it’s only when it’s pushed that the non-independent suspension starts to betray the entire handling package simply because it doesn’t have the same level of grip as the newer compacts out there. 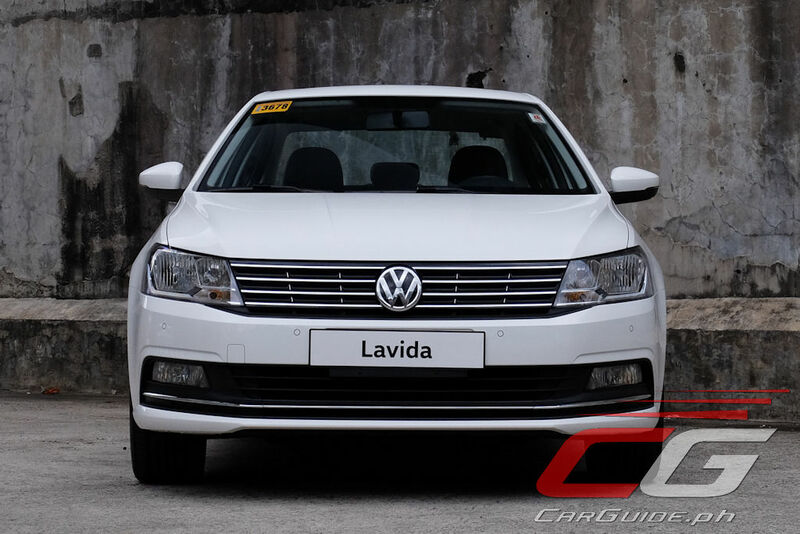 Equipped with a 1.4-liter turbocharged 4-cylinder engine with 130 horsepower and 225 Nm of torque, the Lavida is surprisingly punchy enough to be entertaining. The engine note isn’t something to write home about, but its feeling of urgency is. Peak torque comes in at just 1,400 rpm and lag is fairly minimal. 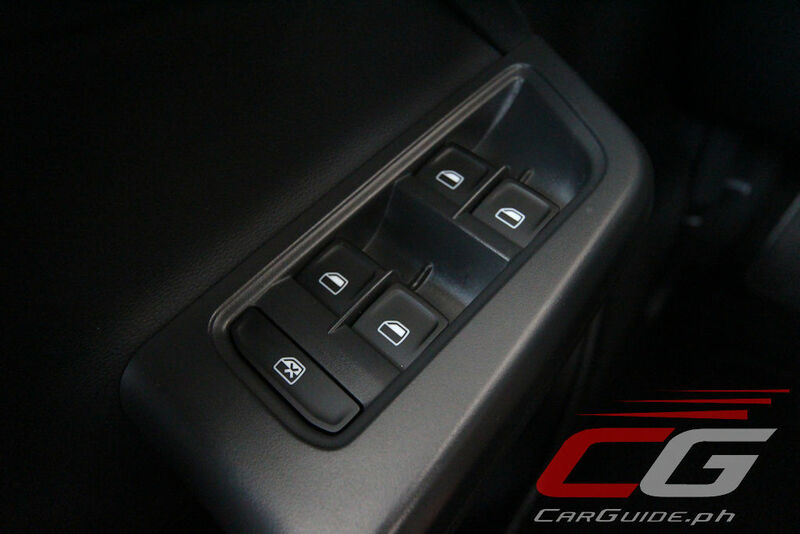 However, it must be noted that throttle inputs must be entered with precision less you want to suffer from the transmission’s awkward jerkiness. 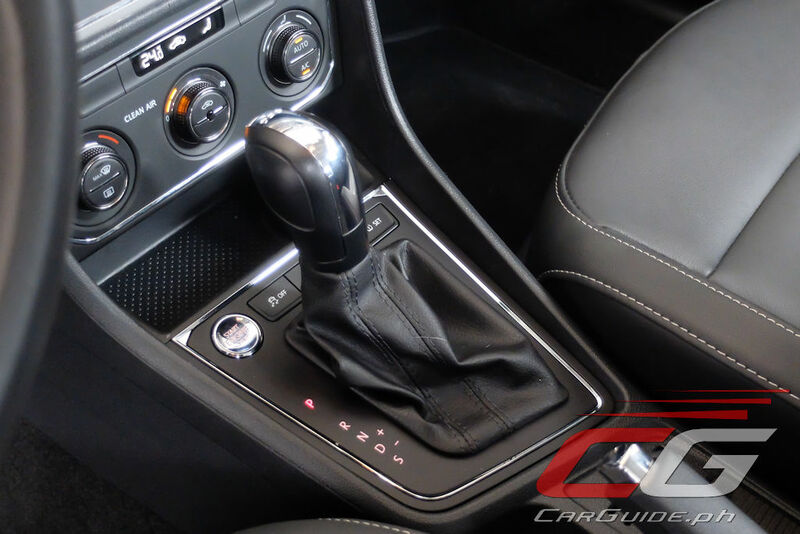 And speaking about the 7-speed dual clutch automatic, it’s largely fast acting and smooth on the go, but hunts gears regularly at lower speeds. In fact, in stop-and-go traffic, it’s actually rough and jumpy. Still, fuel economy is pretty decent: 8.62 km/L at 13 km/h, peaking to 10.98 km/L at 20 km/h. 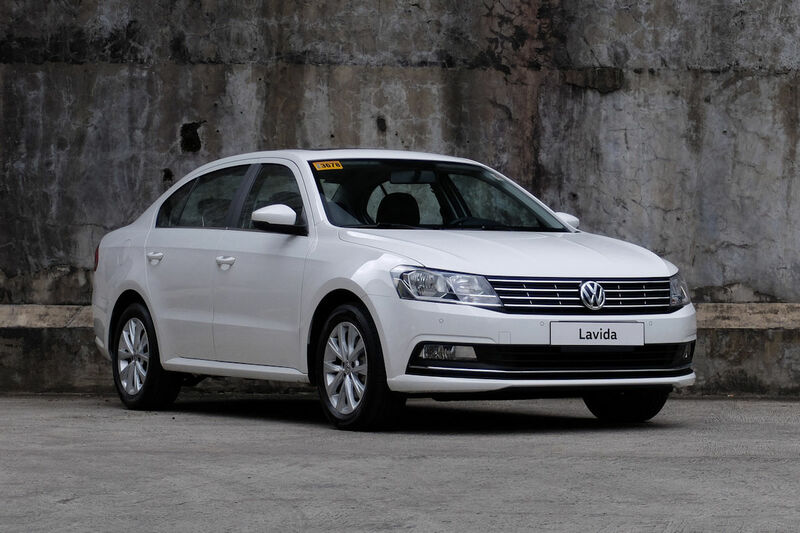 Priced at P 1,171,000, the Lavida is certainly a very attractive offering in the compact sedan class. It’s pretty well-loaded, but not class-leading. 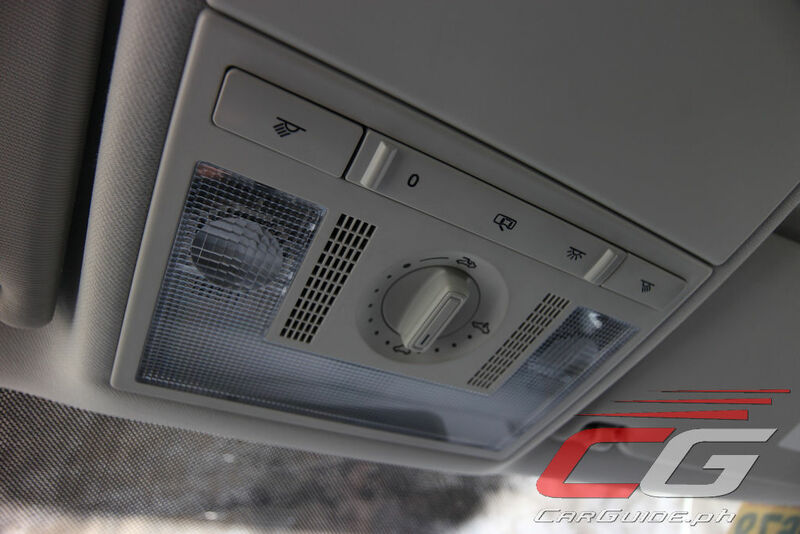 Aside from the leather thrones, it offers automatic climate control, a full-featured infotainment system with 6 speakers and Bluetooth hands-free, cruise control, heck, it even has a power moonroof with an odd rotary-style opener. 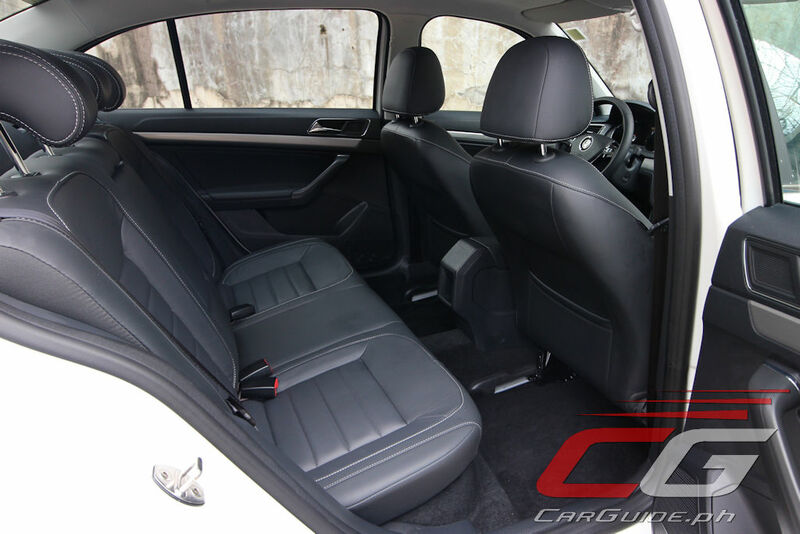 It’s also pretty well-stacked in terms of safety features: dual SRS airbags, ABS with EBD, rear parking sensors, and tire pressure sensors. If only Volkswagen didn’t scrimp on the exterior bits, particularly with the halogen headlights and 16-inch alloy wheels, this would have been the complete package. Good value as it is though, rarely does a compact car buyer been swayed simply to get the cheapest one in the segment. While this strategy may work for something far more basic such as the Santana, compact car buyers are a more sophisticated bunch. 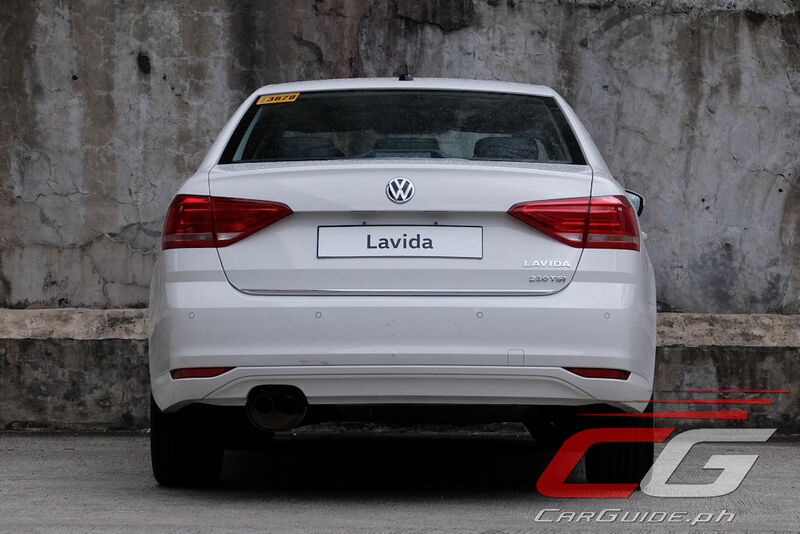 With that, the 2018 Volkswagen Lavida manages to do almost everything right, but it also does so without any flair or emotion. It’s hard to imagine, but this manages to unseat the Toyota Corolla Altis as the segment’s unequivocal appliance. This trait will certainly make it attractive to sensible buyers. But here’s a rhetorical question for you: when was the last time you made a car purchase based purely on the numbers? Compared with the elegantly understated Jetta, this is bargain-basement staid. It's more expensive than the Jetta it replaces, and it isn't even a diesel anymore. What compelled them to switch over to Chinese VWs? 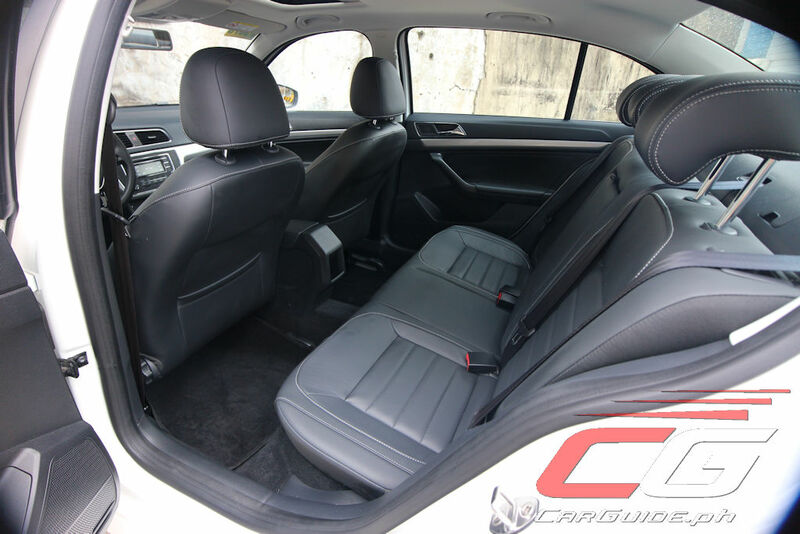 The new Honda Civic, which aside from being more modern all around is an EPA size class larger than the VWs, makes the 6 year old Lavida a tough sell. What compelled them to switch over to Chinese VWs? 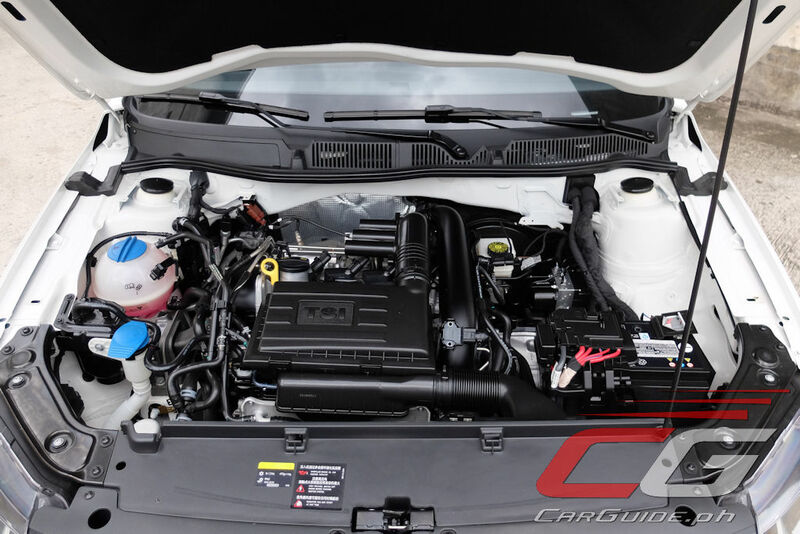 The Chinese-made VWs can be priced competitively, and I read that spare parts can now be ordered faster. If they were to source VW models from Mexico and Germany now, they'd be much more expensive with TRAIN Law. I disagree with the design. This one looks like it came from 2004. 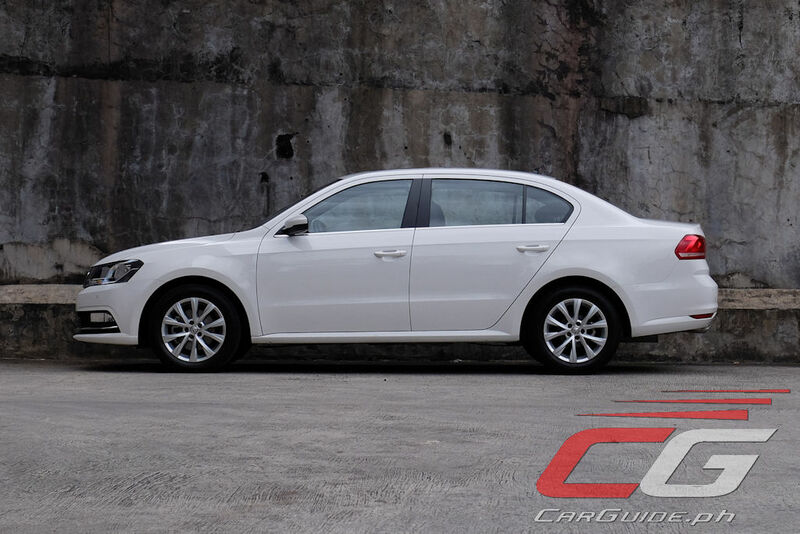 Even the previous prefacelift Jetta is better looking. this is their selling point? reminisce the good old days when cars are much simpler? whoever is running VW Phil should be ashamed of himself. they cut the marquee models Polo, Golf and soon Jetta and replaced with cars that were probably nice back in 1998. 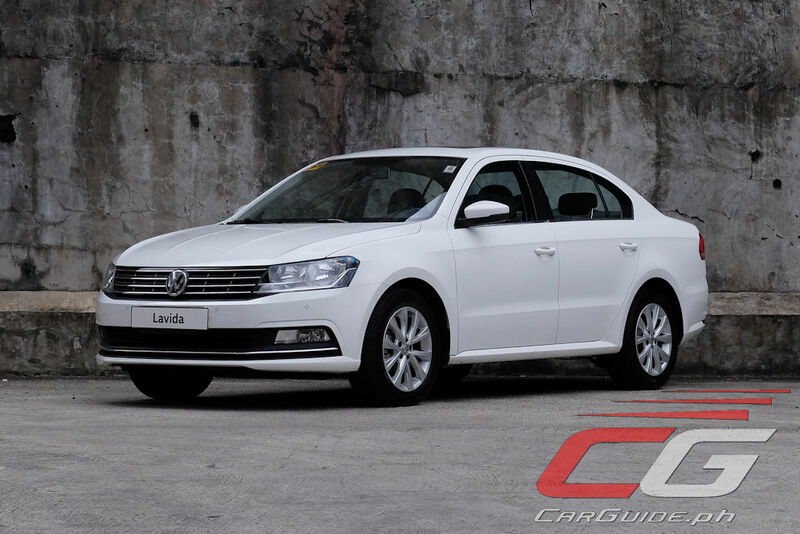 It's alright for VW Philippines to offer this model here as there might be some potential buyer who find just right for their needs. 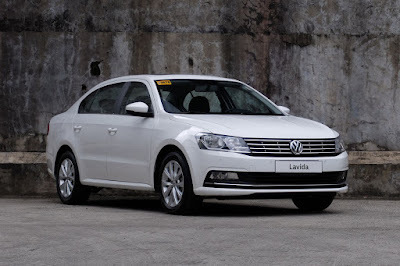 What I find disappointing is the decision of VW PH to altogether stop selling the other German made models that are more in tune to what other countries with VW dealers offer(Jetta, Golf, Passat, MQB Tiguan, Polo,T-Roc, etc). In doing this, they are telling potential buyers of these models. If their argument for switching to these Chinese made models is that so they can sell more cars, they are forgetting that not everyone is looking for the cheapest models too. With the internet these days, it is easy to lookup info about cars. 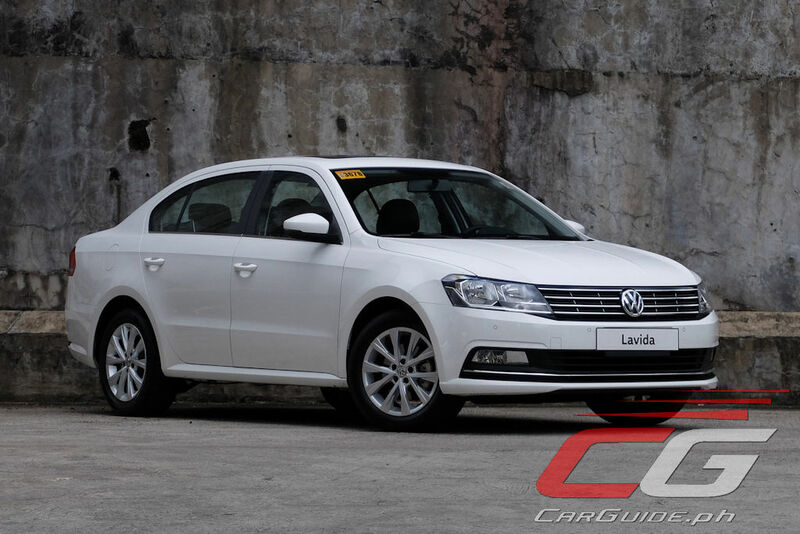 If you lookup these new offerings from VW PH, it just isn't right. Look at the official websites of other VW dealers across Asia or South East Asia alone and you will see they got a decent mix of lineup. So they want potential buyers of their newer and award winning models to go elsewhere and buy other brands instead? They are losing potential buyers this way. 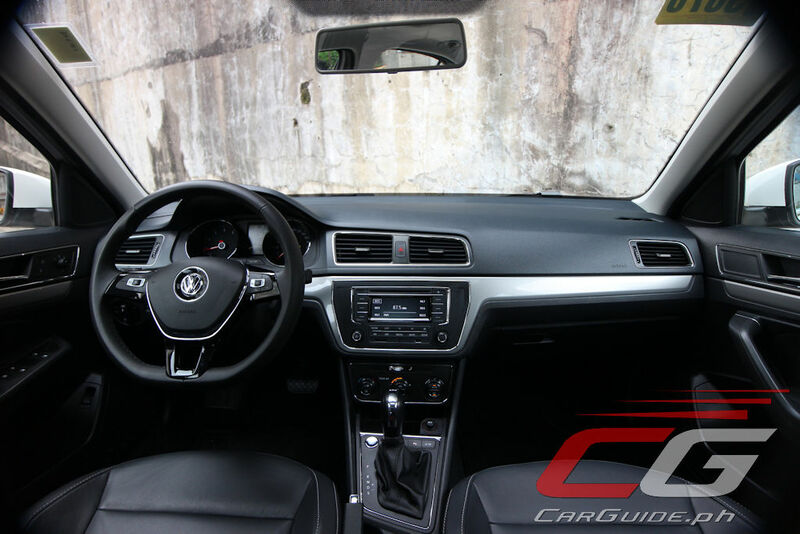 If I am not mistaken, VW Indonesia offers the MK7 Golf and MQB Tiguan in their lineup. Are we that bad of a market to lose out to Indonesia and offer only inferior outdated models? If they stick to this dumb idea of offering crap hoping to fool buyers here, then things will go downhill for them. If they can't have a decent lineup that is comparable to other VW dealers in ASEAN, then they might as well close business. This style of operation reminds me of the other time a group who brought VW here around late 90's to early 2000. That group's VW business ended up failing and short lived. They should have offered the all new Lavida model which was already launched in China. Or they could’ve offered this around 800 to 900k. I test drove this one and I honestly like it because I can install my preferred Stereo Head Unit and upgrade the headlights with a custom HID Retrofit. This could have been a dream car for those guys who still want to upgrade some stuff on their cars but the pricing is an issue. 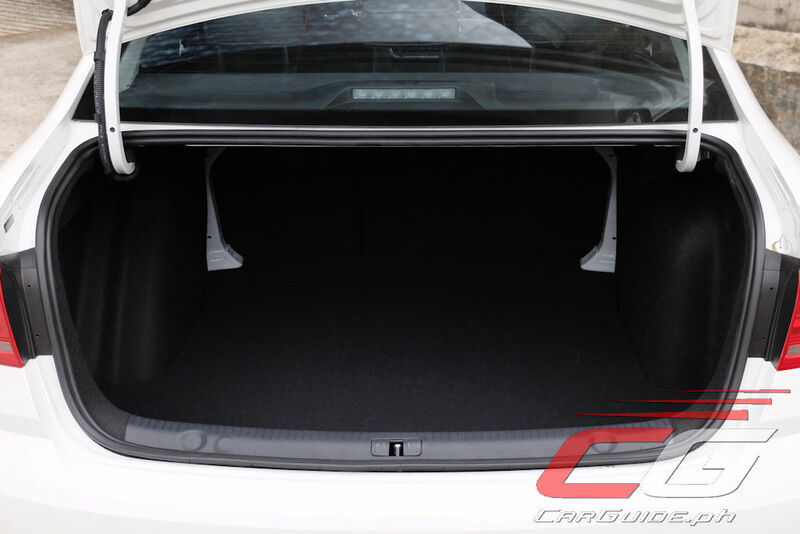 You can buy a Mazda 3 or Honda Civic with all those stuff pre installed.